A study by the World Bank and International Finance Corporation (IFC) dubbed ‘Country Private Sector Diagnostic’ has revealed that despite the enormous potential existing in the country’s agriculture sector, investors are shying away due to the hurdles they have to clear in acquiring land for their operations. “Access to land for large investors continues to be a core constraint because of Ghana’s complex land administration and governance systems, which are time-consuming, costly and expose investors to substantial risks. 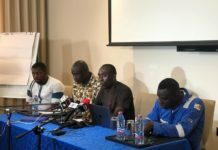 “Some companies needed several years in Ghana to secure their land lease in the Volta Region, on land that had already been identified for development. This was due to the need to negotiate with local communities and chiefs who have customary rights on the land, as well as administrative inefficiencies in the lease registration system,” the November 2017 report states. Another major constraint the report identified is access to finance due to a risk-averse approach by financial institutions toward the agribusiness sector. Again, lack of farming, technical and managerial skills, as well as inadequate access to irrigation, the study says, are major constraints hampering farmers from developing productive alliances with large investors, adding that public irrigation schemes are insufficient and could be better-managed. The report further noted that government support for commercial agriculture in the country is limited and could be strengthened by addressing a number of key constraints, including inadequate public sector-led research and development. Also, the report recommended supporting the entry of “first-mover private sector investors”, as it argues this will open new markets and mitigate higher start-up costs and risks. Government has however outlined plans in the 2018 Budget to address some of the above constraints highlighted in the World Bank/IFC study. In the area of irrigation, government will in 2018 continue to facilitate and promote double-cropping by constructing 50 small dams and dugouts – making available an additional 147ha of irrigable land for crop production. Also, government will distribute 200 tractors and matching implements, and 1,000 power-tillers and walking tractors to enhance agric mechanisation. Additionally, the Akufo-Addo Programme for Economic Transformation (AAPET) will establish a GH¢400million fund to de-risk the agriculture and agribusiness sector through sustainable agriculture financing and crop insurance schemes. The AAPET is aimed at mobilising and leveraging public, private, and public-private partnership investments; modernising and transforming agriculture; and developing major infrastructure projects that support the agricultural zones of the country and industrialisation agenda of government. It will also support the development of agribusiness start-ups through the establishment of a grant funding facility, and abolish duties on some agricultural produce processing equipment and machinery. Agribusiness accounts for 25 percent of GDP and employs nearly half the workforce, with 35 percent of exports, and is the country’s main exporter. The sector is estimated by the World Bank/ IFC to create 750 jobs for every additional US$1million of output.